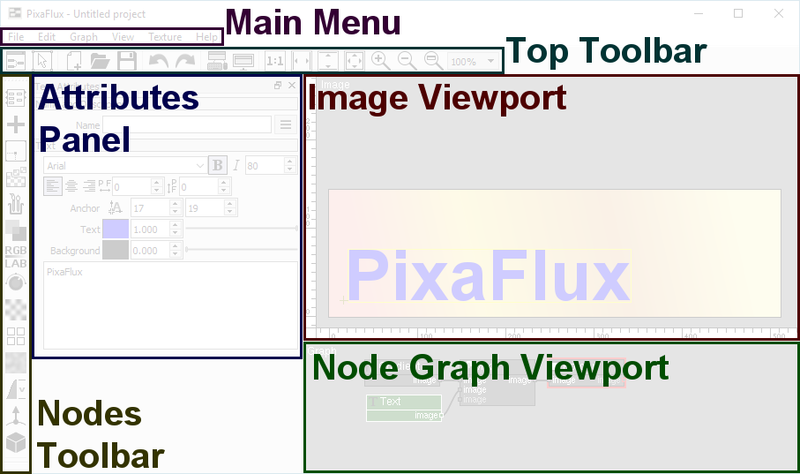 The Node Graph Viewport is the window where nodes are organized and connected. 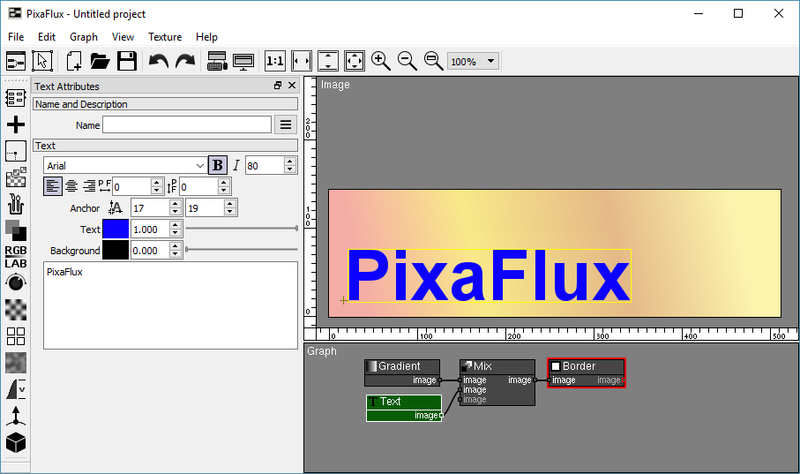 The Image Viewport displays the images and curves returned by the Display Node on the current Display Output. The Display node has a thick red border, and the Display output has a red border. The Image Viewport is also the window where you will edit the Active Node gizmos. The Active Node has a green background and is the node that you're currently editing. The Attributes Panel displays the Active Node's user interface. It's name Attribute Panel because almost all nodes have attributes that define how their operations affect the output of the node. The Nodes Toolbar gives access to all the nodes group menus and is used to create nodes.